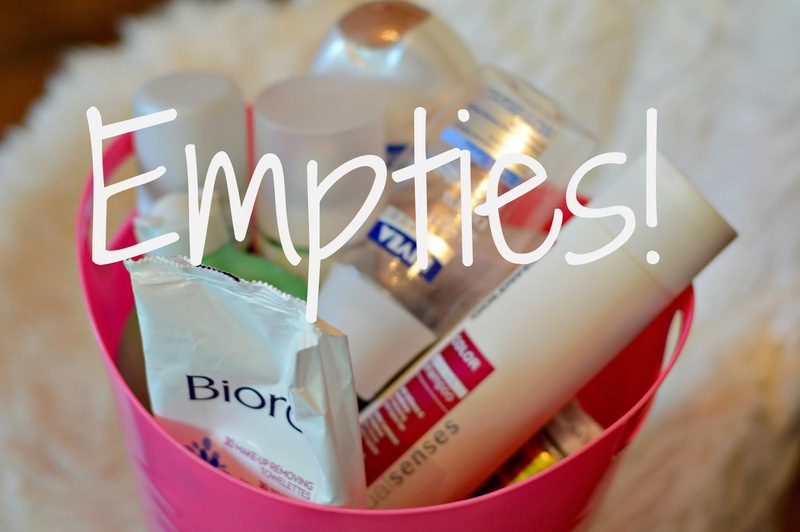 Every few months, I like to look through the bucket of empty products growing in my washroom and film a little video in the process. Not only does this task help me to recycle dozens of bottles, it is also a great reflection of what products I love, and what ones I wouldn't consider repurchasing. This round in particular was heavy on the duds, so I hope it helps you to weed out the not-so-great options next time you're looking for a beauty or skincare item. Have you gone through any products lately? I just finished watching both of your videos & am very impressed about the number of products you go through! Aside from shampoo & conditioner, I never use anything up! I have 5-8 shower gels in the shower that I've been using for years (literally) & there are whole stashes of other products around (make-up, nail polish, creams, etc.) that I've also had for years that I will never be able to use in my entire lifetime.